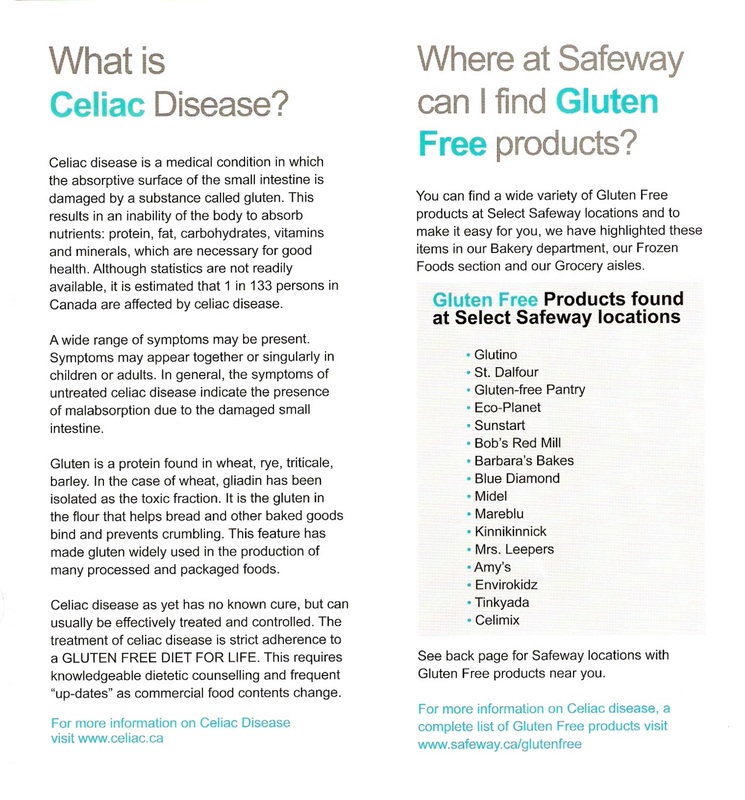 At a recent visit to a west end Safeway in Edmonton, we noticed a huge banner promoting Safeway's commitment to gluten free foods and a pamphlet with more information. 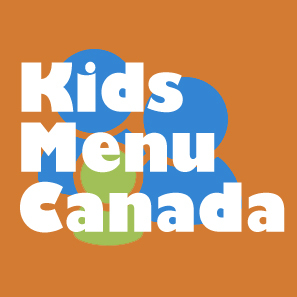 This is a great step towards accomodating Celiac's in Edmonton. The brochure is short and sweet and is informative to everyone. The first section answers the question, what is Celiac Disease? This is great for the average person who is unfamiliar with the condition. 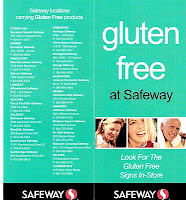 The next section, where at Safeway can I find gluten free products?, explains where to find gluten free products in stores and what gluten free brands are carried, including Glutino, Bob's Red Mill, Kinnikinnick, Envirokids, and Tinkyada. 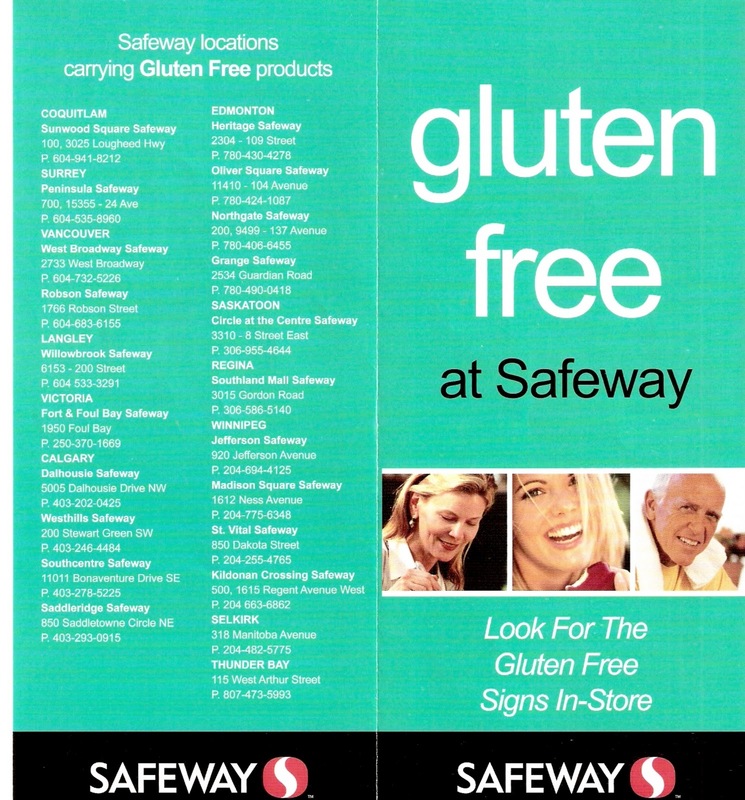 As common as gluten free products are now, it is surprising that Safeway would limit the placement of gluten free products to only four locations in the city. 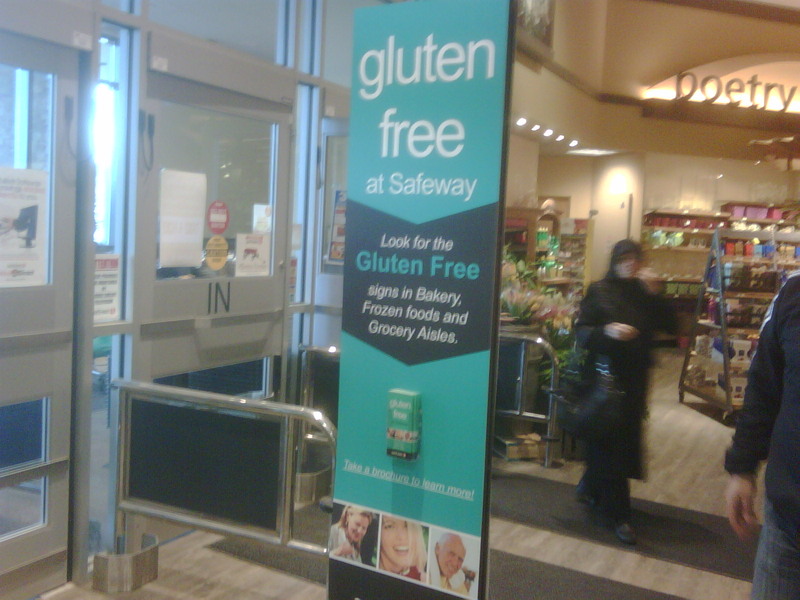 I guess the next step would be to expand the number of stores carrying gluten free products. 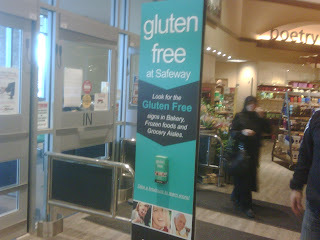 Which Safeway do you do your gluten free shopping at? "because it only lists FOUR locations Edmonton"
That is strange. As far as I know every Safeway in Edmonton carries Kinnikinnick in the Bakery Freezer (where the ice cream cakes are). Even the little old Safeway at Millbourne Mall has a lot. In any case, kudos to Safeway for being a long time supplier of GF food, and for making it even more prominent and easy to find. 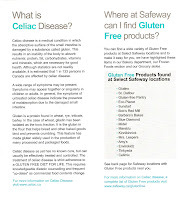 and btw...the link is safeway.ca/glutenfree the safeway.com site points to Safeway US, who are a long ways behind their Canadian counterparts when it comes to providing gluten free for their customers. Thanks for the note! 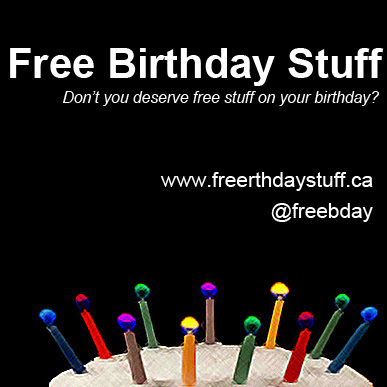 I updated the link to the Canadian website. That was my oversight. And yes, plenty of credit to make such a prominent and bold move to bring Gluten Free to the publics attention like that. They have a long ways to go. I shop at the Oliver location and I find the selection there very bland as far as choices. They have gotten better over the year. I have talked to the manager there about bringing in some products and they still haven't done so. Also have to be careful and I have noticed non-gluten free products in the gluten free section and I have had to go to customer service to tell them that those items are not gluten free and should not be in that section. They are learning...got a ways to go.